SpaWish is a website that helps users find thousands of spas and salons across the country and purchase gift cards and certificates for spa services. Working with Planet Three Sixty, we helped redesign the SpaWish website to create consistent branding. The simple, accessible architecture structures the site into three distinct sections: Buy, Use and Blog. 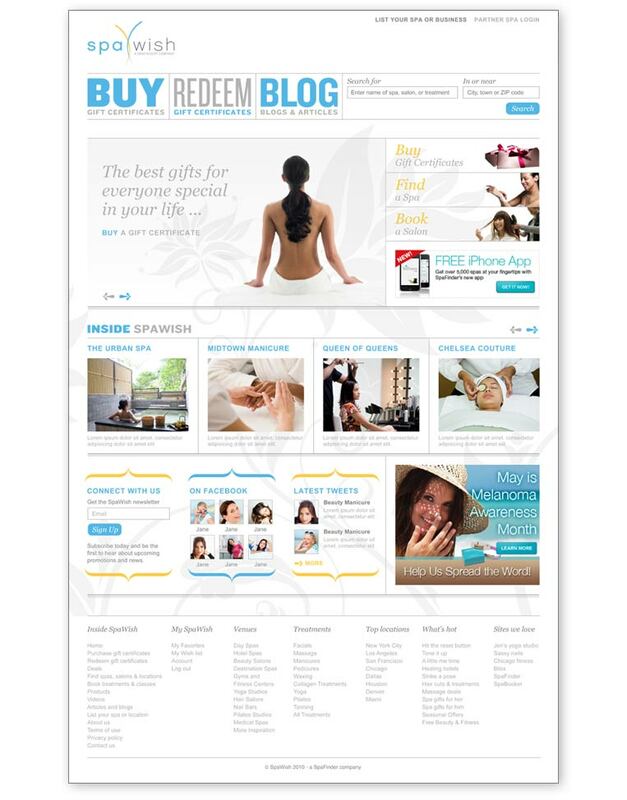 The design is clean and efficient, conveying a brand message that promises spa services for all.